Little knife meets big value in the Condor Primitive Bush Dagger. 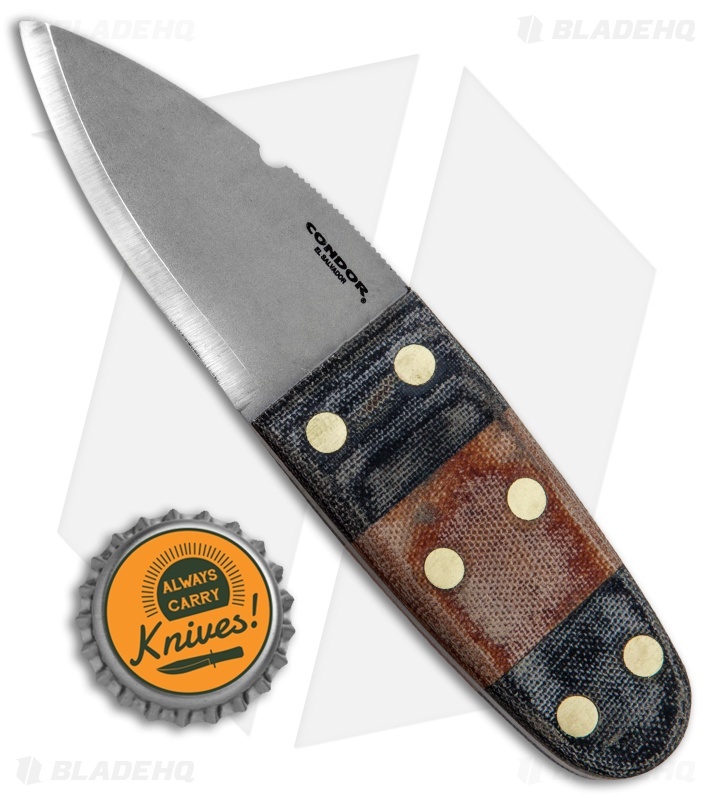 This knife is meant for Everyday Carry with a stout, 2.6" blade made from 1075 high carbon steel and contoured micarta handles. 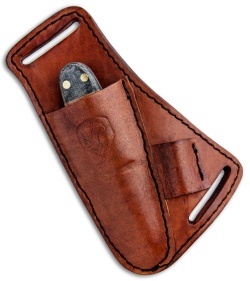 Includes a well-made leather sheath for comfortable horizontal carry. 1075 blade steel offering toughness against chipping. 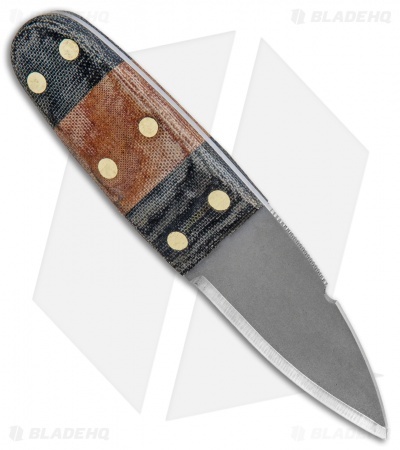 Black and tan micarta scales for both good looks, and good grip. 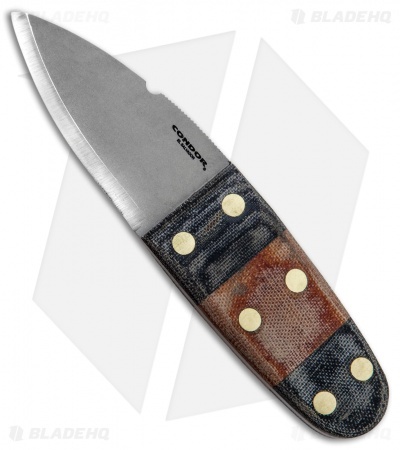 Horizontal carry sheath with a small attachment for a ferro rod. Just got this knife yesterday and I really like it. It fits great in its sheath and the handle is very nicely done. It takes a much better edge than I thought it would, and the little loop on the sheath is great for carrying a small ferro rod. The sheath itself is very nicely done and after a treatment of saddle soap, it’s even better. I should also mention that the back of the blade creates an absolute shower of sparks from my ferro rods so it’s a great secondary knife to have if your main knife is traction coated and won’t strike a ferro rod. This little guy is going to be on my belt for many future outdoor adventures.